The Boston Celtics are without a doubt, the most prestigious franchise in the NBA. A record 17 NBA titles, one more than longtime rivals the Lakers, the Celtics have seen multiple Hall Of Famers play at The Garden. 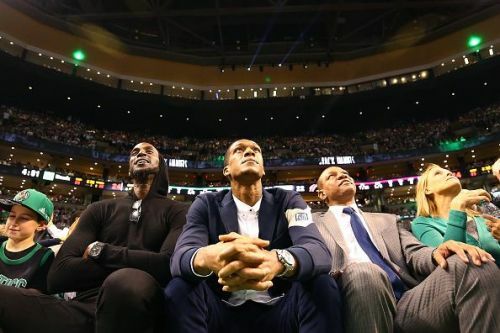 It hasn't all been smooth sailing for the Boston Celtics this past decade, and definitely not close to the heights they reached when led by Bill Russell, and although they have won only one Championship in this century, in 2008, they have still seen some great players play for them. Today we look at the best player in each position to play for the Celtics in the past decade. 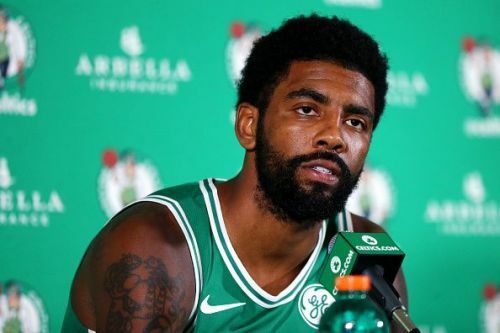 The number one draft pick, rookie of the year, five-time All-star and NBA champion, Kyrie Irving made a controversial move as he requested a trade from the LeBron James led Cleveland Cavaliers after making three consecutive finals appearances with them. Kyrie ended up at the Boston Celtics, a trade that saw Isaiah Thomas, Jae Crowder and others in the opposite direction. Irving would go on to be the leader of the Celtics, averaging 24.4 points for Boston and leading them to a 55 win season and the second seed. Although Kyrie suffered an injury and was forced to sit out for the playoffs run which saw them to be knocked out in a seven-game thriller against Cleveland, few now believe that the point guard made the wrong decision in requesting a trade to the Celtics. Back from injury, alongside fellow star Gordon Hayward, the Boston Celtics are favorites to win the Eastern Conference in the 2018/19 season which should see Kyrie lead the team to their first NBA Finals appearance in years.